Google adsense has many features that can make publisher easier to manage their ads. After 1 year more, finally I get a Matched Content Ads in my Google AdSense account. This features that I want so far, maybe even other bloggers who have not got it now. Matched Content is an ads unit feature provided by adsense, to promote relevant content from publisher blogs to their visitors. This feature can help improve Page views and the time spent by readers on the site. This ads looks like related post, it still displays like an ad but does not generate revenue. and the ads that appear it take the articles that are on our blog. Therefore, this type of advertising is very attracted the attention of our visitors. READ : 1 Adsense Account for Many Blogs, Banned or Legal ? 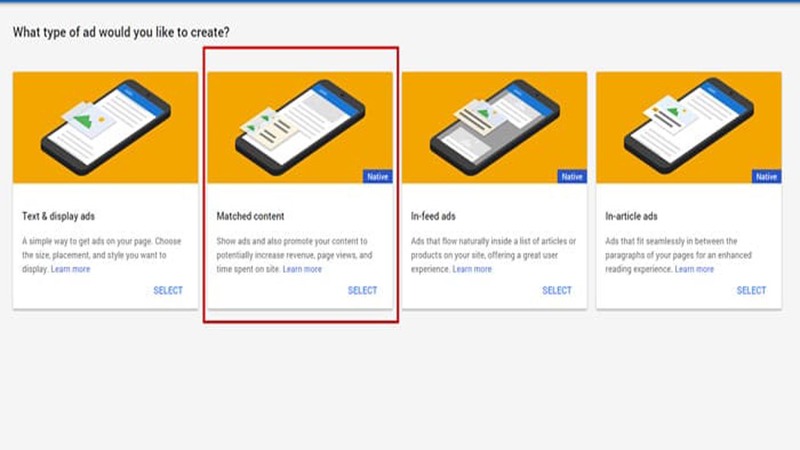 How to get this Matched Content feature from google adsense? If you use and advertise with multiple blog addresses, you can find out which blogs already have matched content by going to the Settings menu, My Sites and finding a tab called Matched Content. if no, then certainly your blog is still not given this type of ads by google adsense. To get this feature, is the requirement easy? talk about the conditions that must be met, I personally do not know it, because it is still luck and only the selected blog will be given. But the above three requirements are actually no standard rules mentioned by google. It's just that professional players concluded it that way. Furthermore, the number of articles and this a lot of topics about matched content. Some say it should be above 100 and 200. Google itself says 1000 unique pages. That's all a myth, in fact many blogs that get matched content there who have 50 articles only. It's so useless has a lot of articles but not quality and not indexed by google. The official requirement says it must have at least a stable 1000 Page Views, while some sources say that getting matched content is at least above 3000 to 5000 and 10,000. how the facts? I agree with the terms of google, because in fact there are many blogs that average page views per day between 1000 to 1500 and get it. Some also have more but do not get it. So our discussion this time about How To Get Matched Content Ads and Myth About it, I hope you can develop your blog for a bigger interest. After getting this matched content, our income will also be higher than before. Share this article, if u think usefull for others.